My Child with Special Needs is Turning 18 - Now What? My Child with Special Needs is Turning 18 – Now What? As children approach adulthood, parents may have many different reactions, from stress about paying for college, to excitement for their child’s new adventure, to a plan to buy a smaller house once junior moves out. For parents of children with special needs, the legal transition from child to adult often adds a layer of complexity and worry to the equation. When a child turns 18, he or she legally becomes an adult (or emancipated) in the eyes of law. At that point, you, as a parent, lose your legal rights to make decisions for your child. You no longer have the right to your child’s medical records; you cannot see school grades without permission from your child; your child may now sign contracts for which he/she is legally responsible; and there are tax ramifications in giving money to an adult child for their support. A power of attorney is the simplest option available to allow you to continue to make financial decisions on behalf of your child. If your child does not have a significant cognitive impairment and is fully able to understand the concept of a power of attorney, he or she may sign the document giving you rights to make decisions on his or her behalf. A power of attorney can be general, covering everything, or limited to specific tasks. In cases where the child is not capable of signing the power of attorney, you will likely need to have your child’s medical team involved so a judge can make a decision on your child’s capacity. A medical power of attorney is also recommended. This document allows the selected individual(s) to have access to medical records and make decisions about medical care and end-of-life for your adult child. A guardianship or limited guardianship is a more comprehensive step; it may be warranted if your child has a significant cognitive impairment. If a guardian is needed to direct the child’s financial, living, and medical arrangements, the court will appoint an individual as the adult child’s guardian. This appointment requires initial legal steps, as well as ongoing documentation and reporting through the court to ensure the guardian is taking the necessary steps to protect the adult child’s interests. The ABLE Act allows families to set up savings accounts for a loved one with special needs. The current maximum for these accounts is $100,000 (with annual donation limits), but the monies in these accounts do not count as assets if your child is applying for Supplemental Security Income (SSI) or other government benefits. Special needs trusts are another good option to provide ongoing funds for your adult child’s care throughout their lifetime. If set up correctly, these trust funds are not counted as assets. This can ensure extra money is available for their care even after you are gone. There are other resources available through government agencies and private foundations to help support adults with special needs. These resources may include assisted living opportunities, occupational training, job assistance, and more. While you may worry about taking care of your child’s needs as he or she grows, do take steps early to learn how to best protect your child as he or she reaches adulthood. 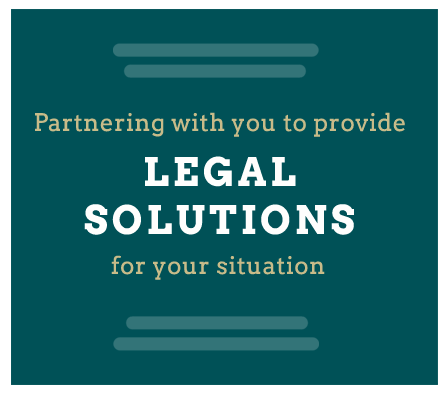 Our estate planning attorneys are here to help. Schedule an appointment today.